We all know that Water Polo did its Olympic debut in Paris, 1900 Olympic Games. We present here the “Bulletin of International Olympic Committee” of April 1985, featuring the Sports and the Program of the 1st Modern Olympic Games in Athens 1896. 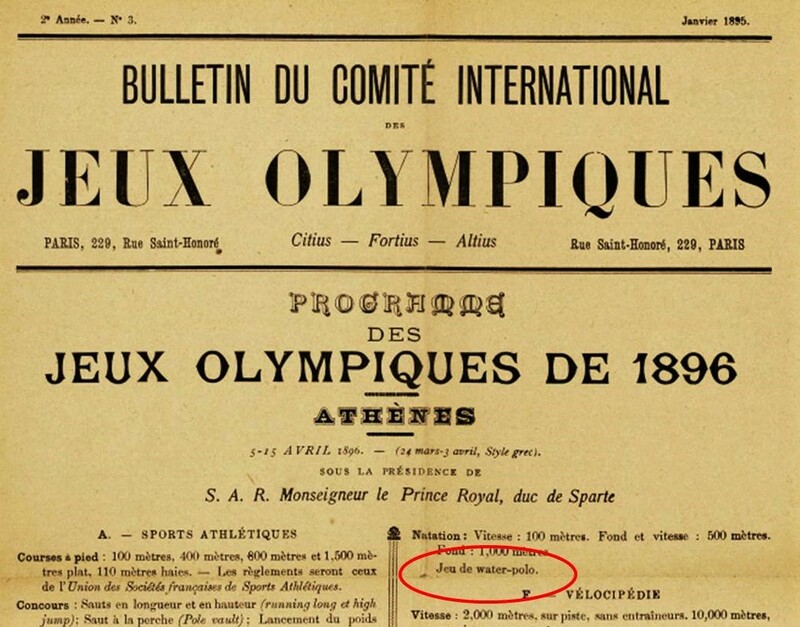 It is interesting to note that Water Polo was initially in the list of Sports to be held in Athens. Finally, for various reasons, several Sports had to be cancelled: Rowing for weather circumstances, Yachting for lack of proper boats and Water Polo, Football, Epee Fencing or Cricket for lack of participation.